 Direct mounting to 48C and 56C motors.  TENV totally-enclosed non-ventilated, Series 321 = IP42 Enclosure, Series 322 = IP54 Enclosure.  Out-of-box torque - No burnishing required.  Class B temperature rise with class H mag wire.  Brake housing integrated with mag body creating a heat exchanger that keeps the brake coil cool. 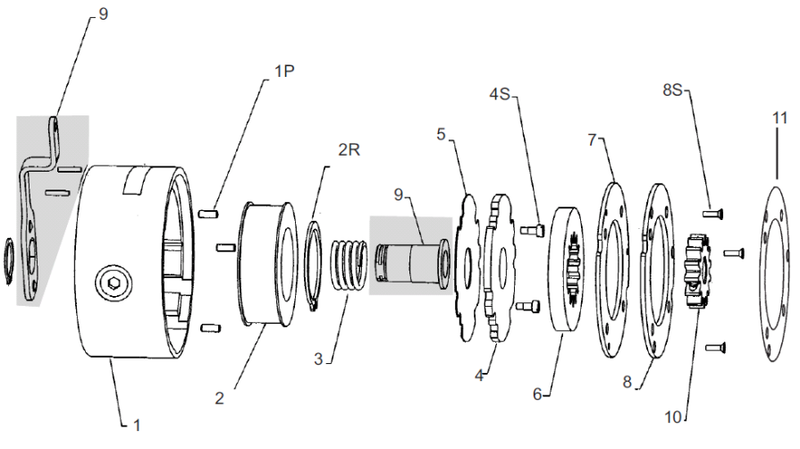  Splined hub and friction disc.  Quick-set rectifiers - for fast response time even when wired directly across motor.  Brake release indicator switch.  Single point torque adjustment - to 50% of nameplate torque.  Carrier ring friction disc.